This remarkable piece features just over three carats in Old European Cut Diamonds. The color of these rare and stunning stones have is graded at G-I with VS2-SI2 clarity. It is shown in three colors, a combination of 14KT white gold and 14KT rose gold or 14KT yellow gold. 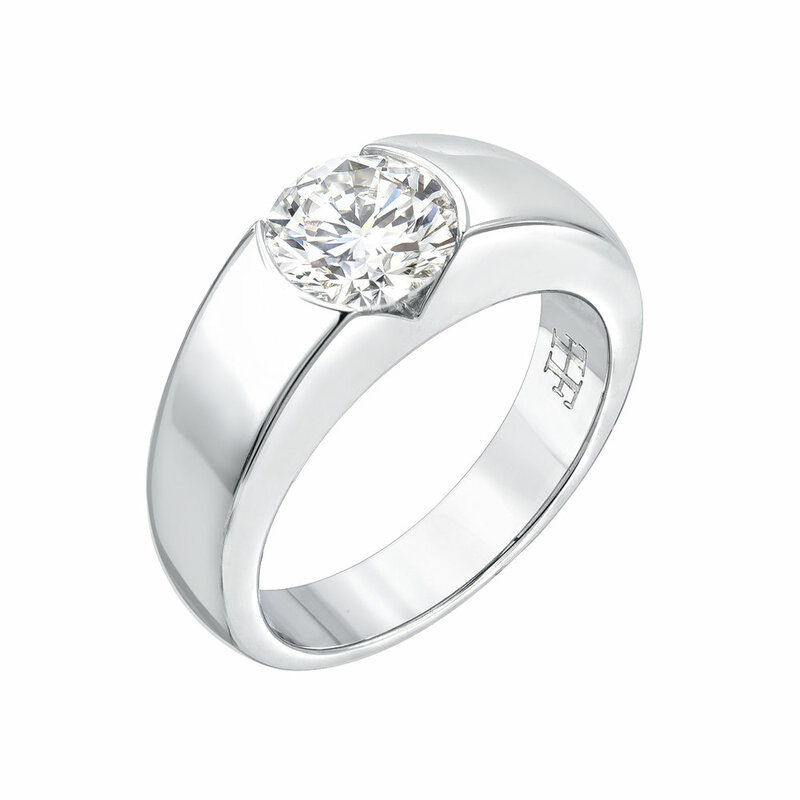 Or simply is set in all 14KT white gold. To add a little extra sparkle to this beautiful piece, the chain features a single bezel set diamond above the crescent. 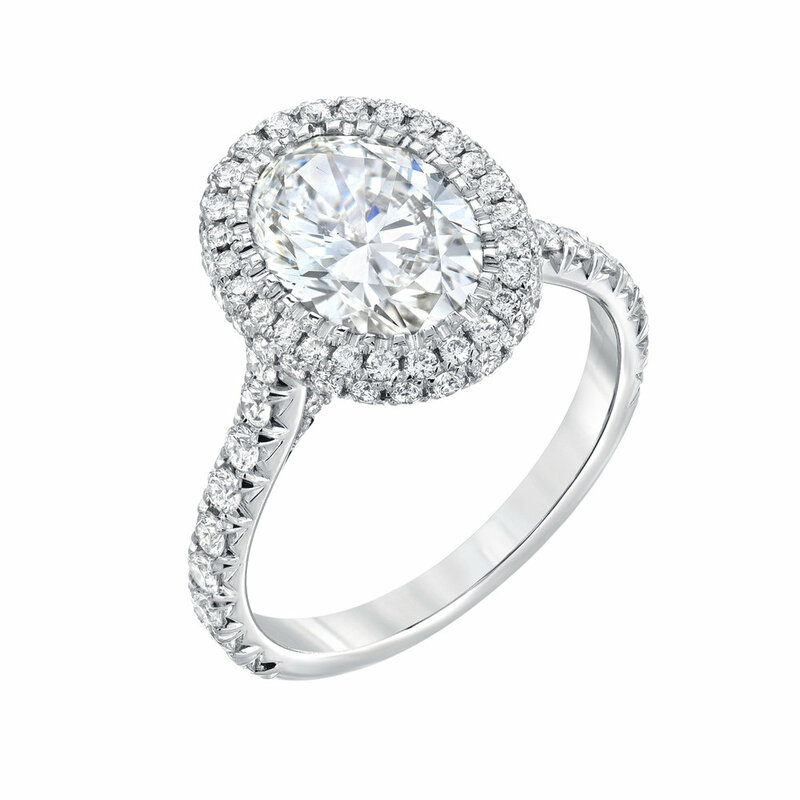 This stunning engagement ring’s focal point is it’s mesmeric oval diamond. At just under two carats, this GIA certified diamond is complimented by a double halo of pave diamonds, visible from the top and sides of the ring. 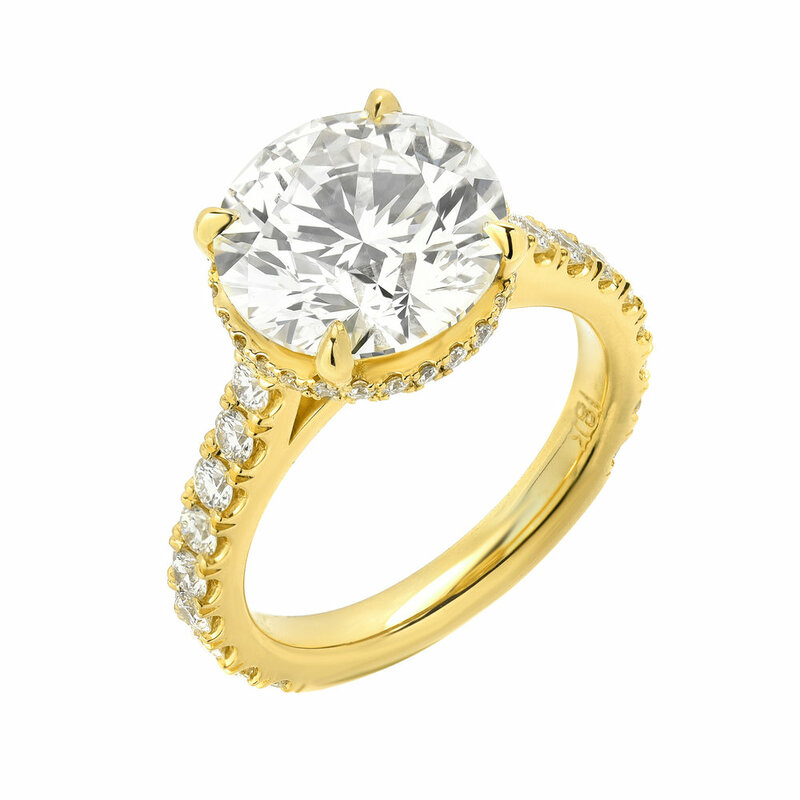 Pave diamonds also line the shank and sides of this dazzling engagement ring. Boasting a natural step cut watermelon tourmaline, this cocktail ring is hard to miss. With full cut white diamonds accentuating this matchless stone, it is sure to be the star of any jewelry collection. An elegant engagement and distinct engagement ring is every bride’s dream. At almost 4 carats, with excellent color and clarity, this round brilliant diamond is the pinnacle of those dreams. The center diamond is displayed in a unique setting. Viewing the ring from the top, the diamond is set with four prongs, displaying a simple timeless look, while an “under halo” shows a sparkle of pave diamonds when the ring is viewed from the sides, giving this ring two looks in one memorable ring. Princess Diana’s wore a beautiful Aquamarine cocktail ring that was part of her legendary, curated jewelry collection. It is now worn by the new addition to the royal family, Megan Markle. Inspired by this ring, our Aquamarine Cocktail Ring’s subtle blues point to the richness of this aquamarine stone. It shines with the beauty and exceptional grace that these two royal women posses. This gorgeous, heavy bracelet is impossible to miss. 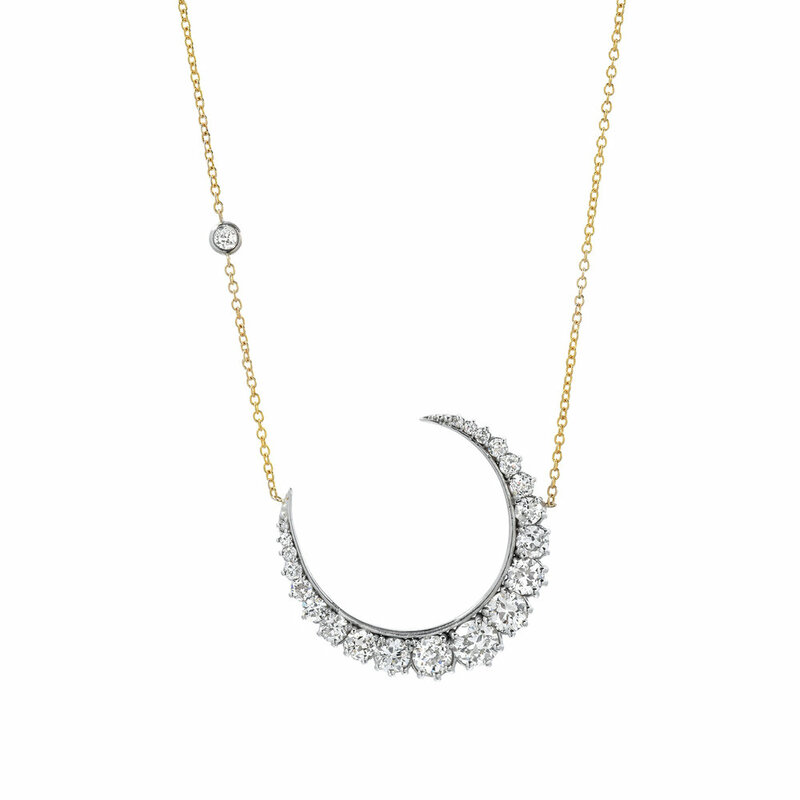 Made with full cut white diamonds and solid 14KT gold, this. bracelet displays the fine taste of the man or woman wearing it. Converted from a client’s engagement ring, this timeless round diamond has a beautiful cut, color, and clarity. It is set in a half bezel setting to display the stone’s cut add major sparkle to pinky!